Portland is Phish-starved. It's been 15 years since the band performed in these parts (no, the Gorge, five hours away, does not count), so an appearance by one of the principals is bound to sell out. 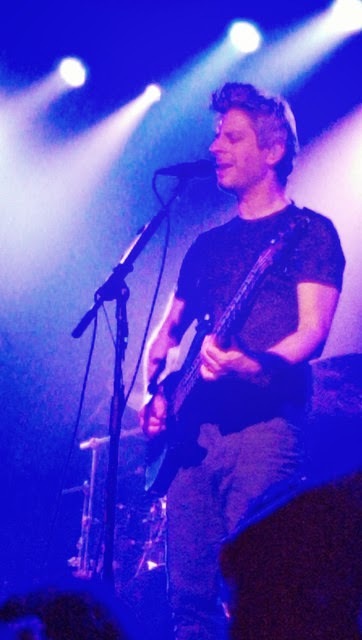 Sure enough, the Wonder Ballroom Mike Gordon show was just that, packed with grooving throngs quite thrilled to get even a taste of the Vermont jam rock kings. And that's what this show was, for better and worse: a sample of Phish. By any standard, Gordon is a monster bassist, and really likable. But he's not a terribly ambitious songwriter, nor is he reinventing the improvisational rock music wheel by any stretch of the imagination. But he did bring a road-tested posse of players (guitarist Scott Murawski, keyboardist Tom Cleary, drummer Todd Isler, percussionist and electronic noisemaker Craig Myers) and some fresh tunes. Sonically, very little transpired at the Wonder Ballroom that was unfamiliar to anyone in attendance. To be fair, Gordon served up six palatable new pieces from his new album Overstep, including the folky, falsetto-accented "Jumping" and the mid-tempo, spiraling "Surface." With 21 songs performed, that's under a third of the music. 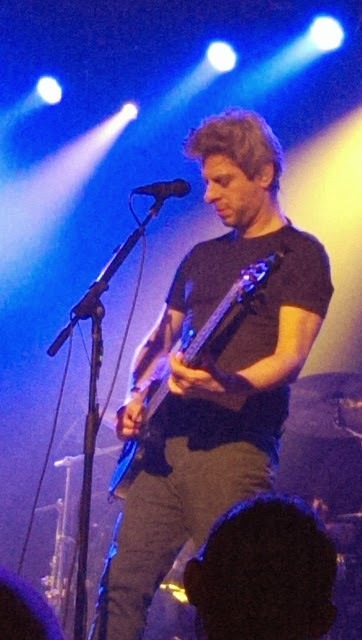 Covers and other solo material, such as "Green Sparrow," which morphed into one of the night's choicest jams, filled out the set. Quite notably, only two Phish songs were offered (and oddball choices at that: "Meat" and the rarity "Spock's Beard"), a miserly decision that could nearly be construed as a slap in the face to Phishheads, particularly in the scope of a lengthy, two-set concert. Would one more Phish song, heaven forbid even one of his signature favorites ("Mike's Song" or "Weigh" for instance), detracted from the fact that this was Gordon striking out on his own? Unlikely. Would it have sent the night's already high audience energy into ecstatic overdrive? Absolutely. While a spirited, patchouli-scented debate could emerge about Gordon establishing his own brand and identity outside the leviathan that is Phish, the glaring reality is, the guy's been in Phish for three decades and he's dyed to the marrow, irrevocably shaped by that band's idiom. Not a single note played at this gig (outside of Myers' synth accents) would have been out of place at a Phish show. That said, the entire affair might have been exactly what Gordon intended all along: a casual, fun outing for a musician would be bored silly at home otherwise, waiting for the giant machine of his primary gig to fire up again this summer. Indeed, several moments at the Wonder Ballroom felt like Gordon had wandered down to his local watering hole and sat in with the Saturday night cover band. Perhaps that's the vibe he was after, and sometimes it worked well (a sharp reading of The Beatles' "She Said She Said" was a nice surprise), and at other junctures, it was totally head-scratching, i.e. the Murawski-sung cover of Alanis Morissette's "Hand in My Pocket." A dumb choice for myriad reasons (never mind numbskull lyrics like "I'm brave but I'm chickenshit" which even Alanis must roll her eyes at in hindsight), Gordon covering Morissette was a bit like the Allman Brothers covering Maroon 5. Talk about a contextual Overstep.